 Today the Money Advice Trust has launched Borrowed Years – a new series of ‘spotlight briefings’ exploring young people’s experiences of credit and debt. Our research has found that many young people are building up debt and worrying about money in their first few years of adult life, but far too few are seeking advice when they fall behind. Last year just 12% of callers to National Debtline were aged 18 to 24 – an experience shared by other advice agencies. And yet research by the Money Advice Service has shown that this group makes up 21% of the UK’s over-indebted population – equating to 1.8 million young people under 25 falling into financial difficulty as they take their first steps into adult life. We must all do more to close that gap, and ensure that more young people receive the free advice they need. Our research shows that 37% of 18 to 24 year olds are already in debt – owing an average of just under £3,000. When you consider that these figures do not include student loans, this represents a significant level of debt at a relatively young age. With low incomes, high rents and other costs to meet, not to mention the tricky transition to managing your own money for the first time, it is easy to see why so many under 25s are struggling. These challenges are having a significant human impact, too. Around half of young people say they regularly worry about money, with one in five sometimes suffering sleepless nights as a result. It is a sad truth that at a time when we would all want young people to be flourishing, seeking out new experiences and getting off to a good start in life, too many are being weighed down by debt problems. The better news is that our research provides clear evidence that the majority of young people are striving to actively manage their personal finances. More than two thirds (69%) of 18 to 24 year olds have set a budget that they try to stick to, and 71% log into online banking to check their account at least once a week. Despite these efforts, when it comes to borrowing, only 27% know what their credit rating is and how it affects them, and 37% of those in debt say they do not have a plan in place to repay what they currently owe. With so many young people beginning to build up debts soon after they turn 18, we have a real battle on our hands as a society to make sure they receive the support they need – both to avoid financial difficulty, and to tackle problems where they arise. Our Borrowed Years briefing offers a selection of policy ideas – for consideration by government, creditors and the financial services industry, schools and universities, the advice sector and other charities – designed to stimulate discussion of what more can be done to support under 25s to manage their money well. These include earlier and more co-ordinated financial education, timely support for first-time borrowers, a larger role for employers in supporting young workers’ money management, and practical reforms to student finance payments (read the full selection in full here). Later in the year we will be publishing two further Borrowed Years spotlights on two debt types that are of particular relevance to many young people – loans from family and friends, and mobile phone arrears. We are also talking to organisations that work with young people to explore how we might work together to do more for this age group. In the meantime we would welcome feedback on the ideas presented in our briefing – and I look forward to discussing these issues further with partners from across a range of sectors in the coming months. Next Time for statutory Breathing Space?